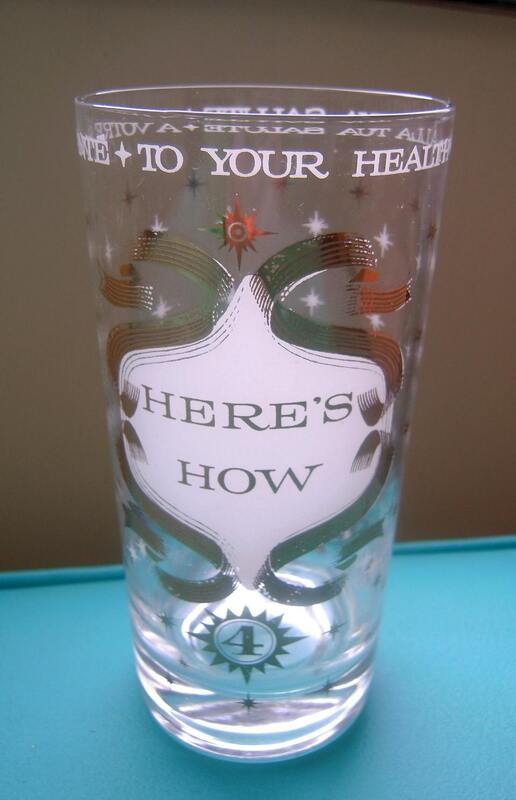 Cheers to a Happy, Healthy, and Prosperous New Year! Have a fun and safe evening everyone. A whole new decade awaits! vintage holiday extravaganza and SALE! Normally at this time I would be showing you a shot of the color of the month, but it’s the holidays and my side table get’s a festive treat instead! Here’s part of my personal collection, as well as some items available in my vintage shop! My personal favorites are my Rare blue pieces! 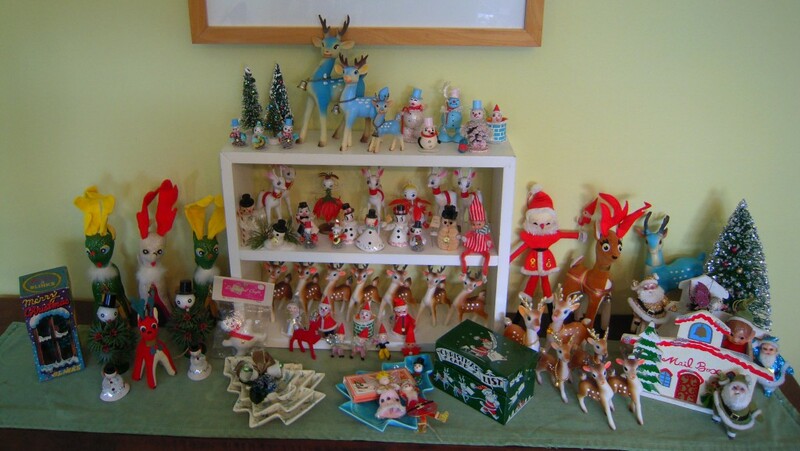 As you can see, it’s getting a little crowded in Christmasland! Below are some of my faves available in shop AND I’ve just started a BUY 2 get 1 FREE SALE on items in my vintage holiday category! Most of these treasures are from Japan. http://www.etsy.com/shop/vintagegoodies?section_id=6470643 See shop announcement for details and don’t dilly dally, there are some great finds! Happy Holidays! 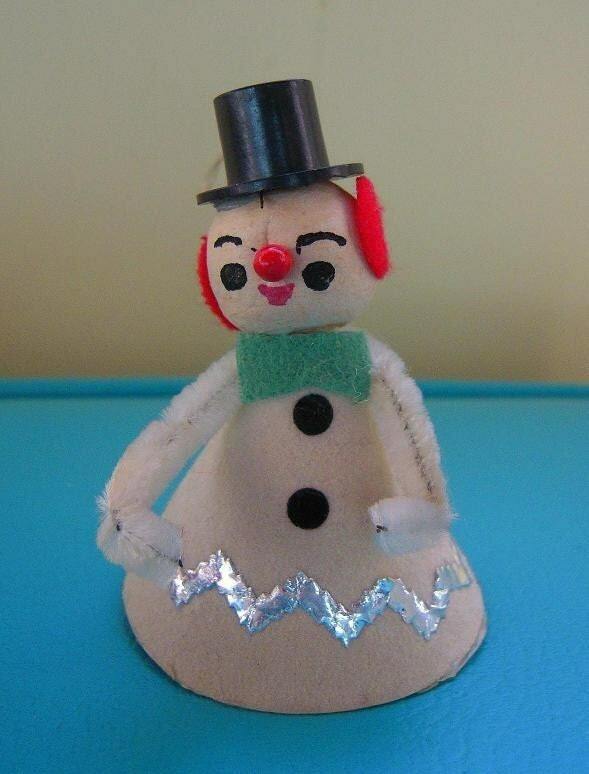 adorable vintage snowman ornament, darling on or off the tree! 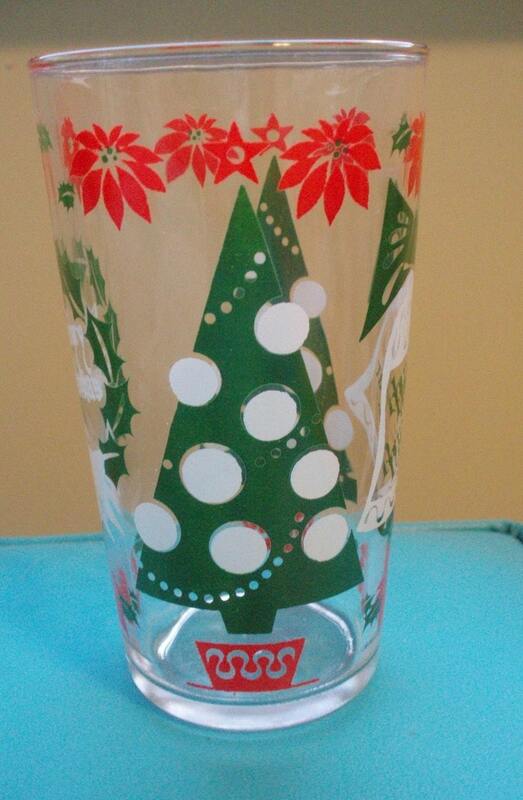 Mid century modern holiday glassware! This set of 4 is a must have for any vintage holiday table setting! 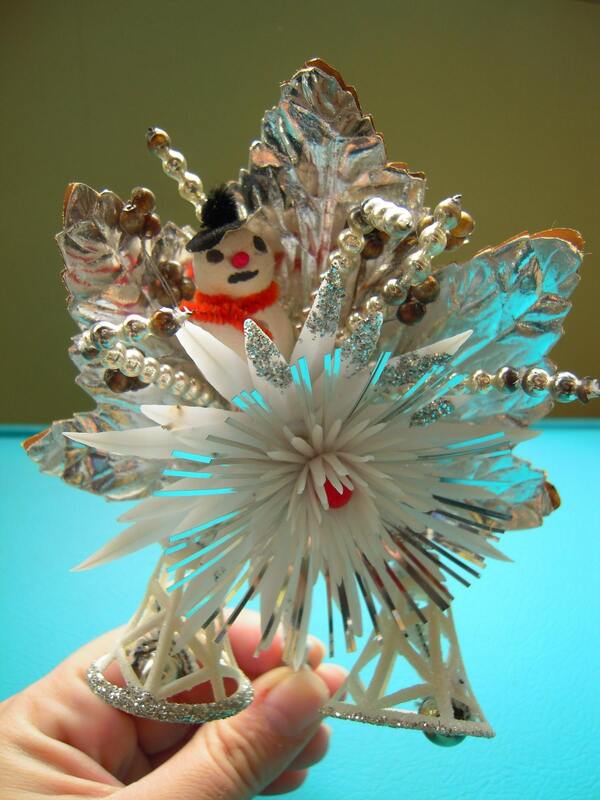 Gorgeous vintage silvery snowman corsage! Wouldn't it be great on a holiday dress or coat! I am super excited that artgoodies has gotten some super great holiday press this year! 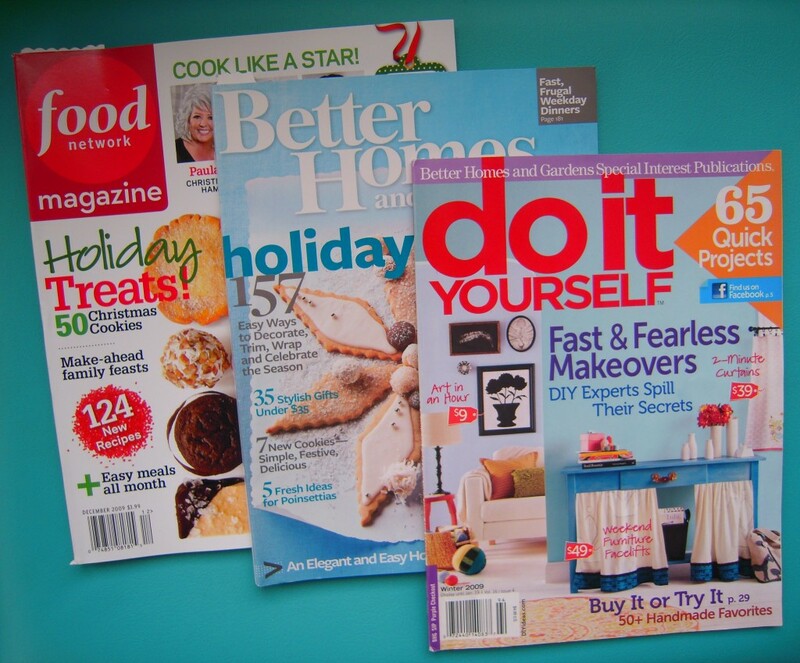 The cupcake towel made Food Network Magazines holiday gift guide, the chickadee and quail can be found in Better Homes and Gardens Magazine Holiday Gift guide, and the six pack of towels is in their online holiday gift guide! Plus the squirrel towel and owl stuffie are in Do It Yourself Magazines best of handmade article!!!! It also became clear the holidays were around the corner last week when Winter arrived with a sudden snowstorm. It was like someone flipped a switch and voila! snow! We are in the midst of another winter storm warning right now. I sure am glad to be done with my last show of the season, and now I can stay cozy and safe working in my studio. 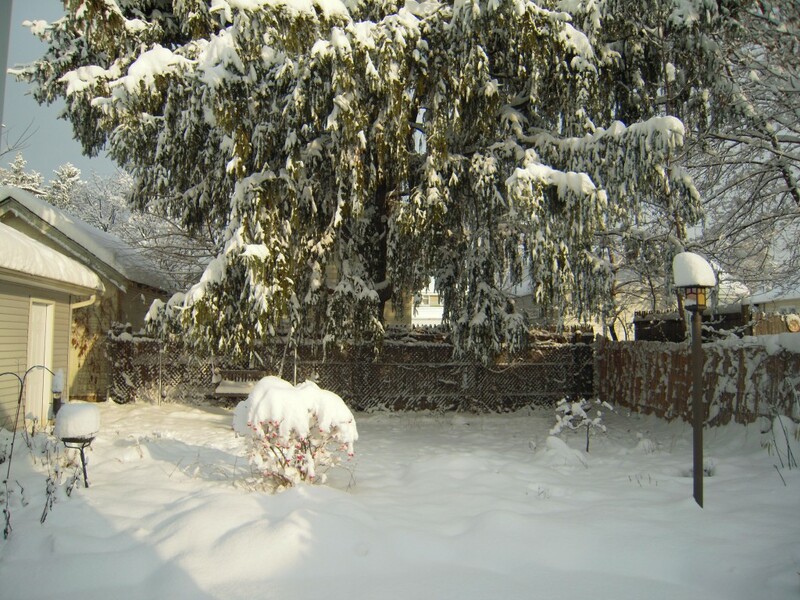 Here’s a quick snapshot of my yard after the very first snowfall of the year! 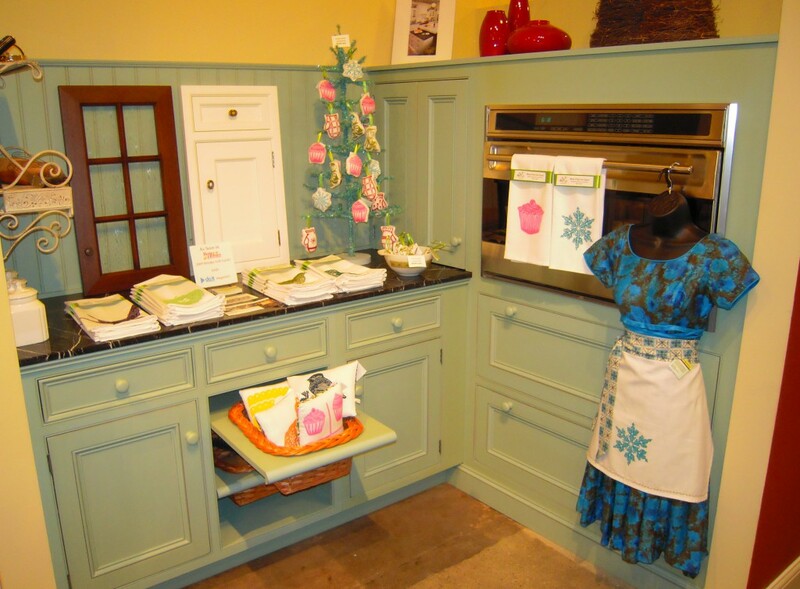 Last Thursday Kitchen Design Inc here in Grand Rapids hosted me during the annual Uptown Holiday Shop Hop. It was fun to get out and do an event locally since I’m always on the go to shows elsewhere. I spread out across their showroom but just look at how great artgoodies goes with these awesome colored cabinets!